We no longer maintain the Cordova plugin required to use Estimote Stickers. Range Estimote Nearables. This app demonstrates how to scan for Estimote Stickers using ranging. 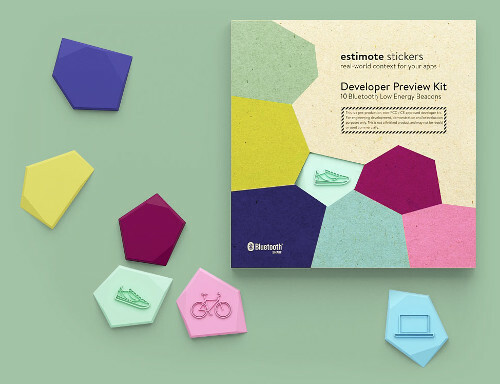 Estimote Stickers are the first product to support the new Estimote Nearable API. This example runs only on iOS. 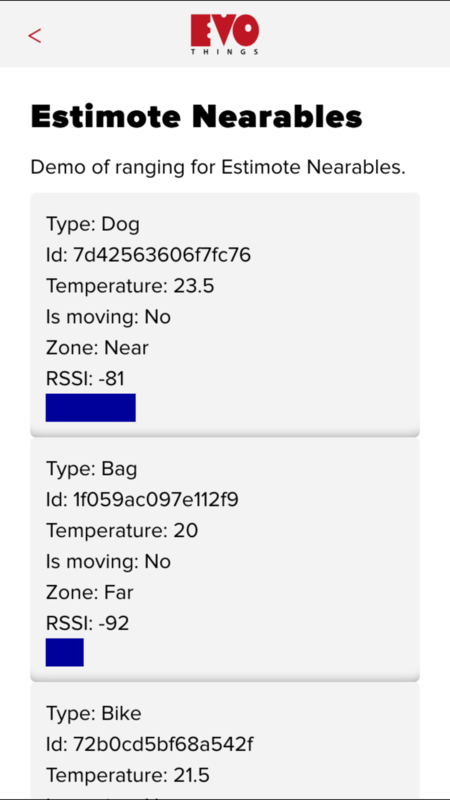 Run the example in Evothings Viewer on iOS. The file index.html is the main HTML file of the app. This example works with Estimote Stickers. Visit estimote.com for further details. The example works only on iOS. Run the app in Evothings Viewer on iOS. Optionally you can build a stand-alone native app using Cordova. You then need to include the Cordova plugin pl.makingwaves.estimotebeacons. For further details see the Cordova build guide. An iOS device (iOS 7 or 8) is required. Have at least one Estimote Sticker nearby. Run Evothings Workbench on your desktop/laptop computer. Launch the example "Estimote Nearables" from the Workbench window by pressing "Run". If everything works, the app should automatically detect your Estimote Stickers.